Again a month has passed and it is time for us to share with you what has happened during the month of July. On the 10th of July 2017 the College opened the doors for its new semester. We are very thankful that we now have a total of 26 students of which 13 are new entrants! Of the returning students, two have not yet reported for personal reasons. 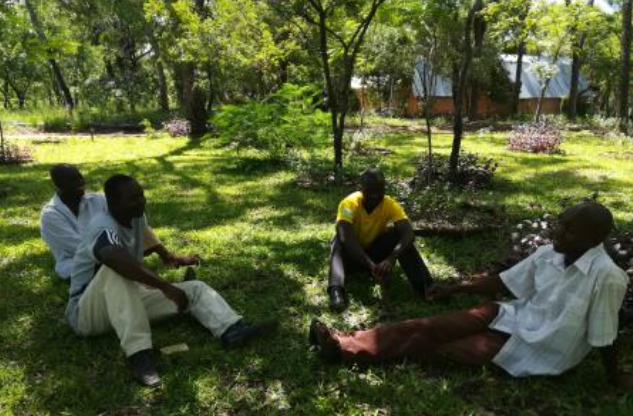 The principal, Emmanuel Sakala, together with the lecturers Godfrey Mwale and Nelson Tembo, are engaged in conducting lessons on different topics. They are being assisted by Rev. Cyrus Miti, and Bernard Chela. Please do remember to pray for the team. We also received Pastor Johannes Aucamp from South Africa who was around for about three weeks. He gave the first year students a course on “Biblical World View”. As staff we enjoyed the fellowship with him and his family. We always love it when we receive visitors and the joy it affords of experiencing the oneness in our goal to spreading the gospel around us! At the moment we are hosting the Woo family. Timothy Woo, who is a Librarian, is helping the students to improve their use of library books. He and his wife Zara are not strangers to us as they have visited us before. At the end of this week they hope to travel back to their home in Lusaka. We also want to share our joy for the donation of books we received from Theological Book Network (TBN) for our library. This will indeed boost the students’ research resources and give them a wide range of reading materials. We are glad to report the blessings of the Lord in what He has done for us through the donors. At the Farm the effect is very visible of what has happened in the last month with donor money in a short time. In this period, builders were brought on board to build poultry houses. In about two weeks, they erected the walls, put the roofing on, windows frames in place and the floor completed. We are now excitedly waiting for the first batch of chicks to arrive! 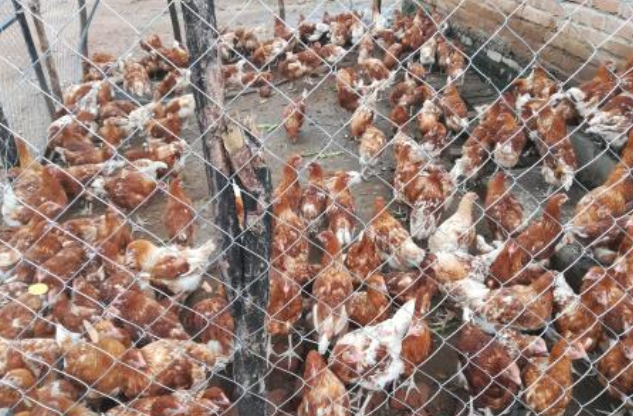 The idea behind this chicken project is to generate income for our ministries, so that we become more self-sustaining and less dependent on donor funding in future. Of course we will still be very grateful for any partnership for our ministries. As at now we are very thankful to our donors who have made this project a reality for us! In between also the normal activities are going on. The vegetable garden is looking promising to give us enough ‘greens’ in the coming weeks. Our herd of cows increased with new born calves and now the number is at 11 cows. And the harvested maize has been shelled and packed in bags in readiness for pouring into the silos. We are also looking forward to see more fruits in our Christian Education Ministry. Day after day teachers are planting the seed of the gospel in the lives of many children by teaching Bible stories. Pray with us for fruit to follow! This week the schools close for a holiday for 4 weeks. That doesn’t mean holiday for the teachers and trainers because from 14th to the 18th of August we will have a conference for all the teachers involved in our program. While Musonda and the other trainers were regularly visiting a number of about 50 schools last term, Marjanne started writing a curriculum for our current pastoral students on reaching out with the gospel to children. Included in this is how you can also teach children to read. 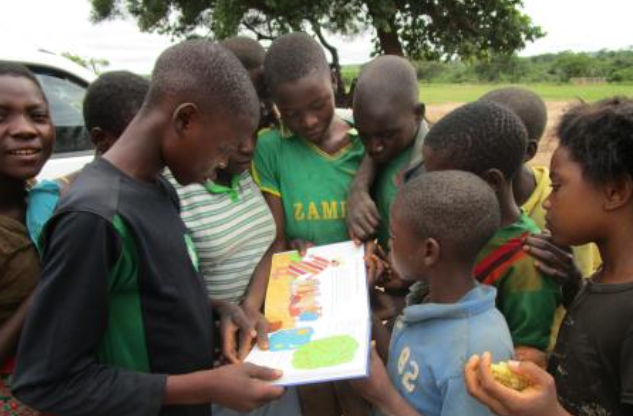 We emphasis so much on our literacy program in our schools in the hope that all these children can be enabled to read. To encourage this, also in the last few weeks, Musonda and trainer Wilson have tested a lot of children on their reading skills. Whoever is able to read properly and can tell what they were reading, receives a children’s Bible in the mother language. This is indeed another way of spreading the gospel into the villages!